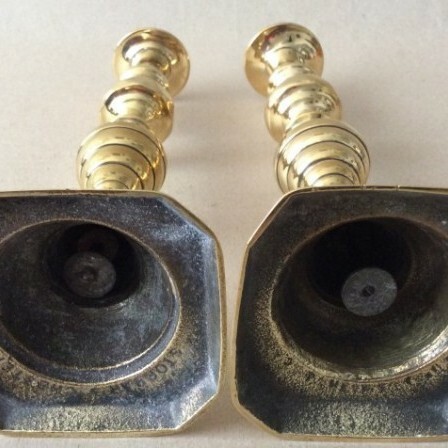 Antique Pair of Victorian brass beehive candlesticks with makers mark. Antique Victorian brass beehive candlesticks marked Storrars Chester. 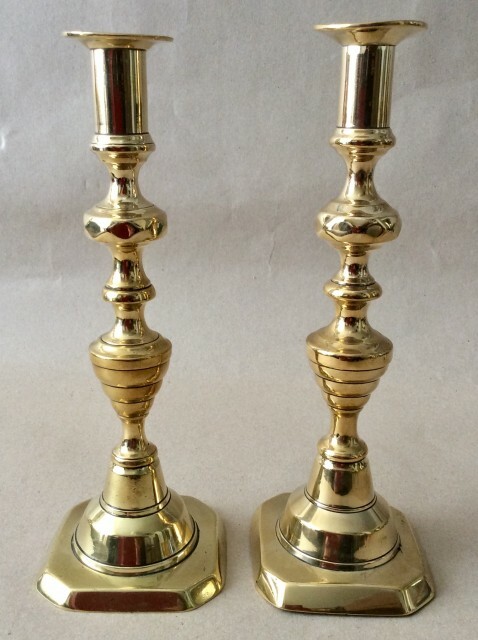 Description: Pair of Victorian square base beehive brass candlesticks with candle pushers. Marked to base in the casting STORRARS CHESTER. one clearer than the other. These are a matched very near pair. 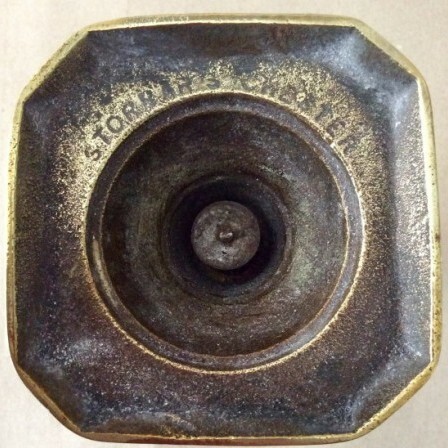 Dimensions: 25cm high, 9cm wide.